The keynote speakers for the 2018 BioPort conference will be Corrina Lathan, CEO of AnthroTronix in Maryland, and William Charnetski, Ontario’s Chief Health Innovation Strategist.BioNova, which organizes the annual gathering for life science innovators, industry leaders, and investors from across North America, revealed the keynote speakers in a statement last week. BioPort will take place at the Halifax Convention Centre on Nov. 7 and 8. 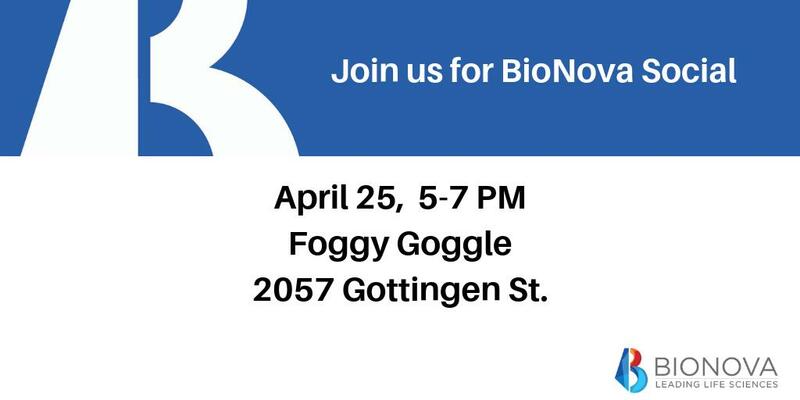 “BioPort highlights the potential of the health and life sciences sector in Atlantic Canada to tackle the world’s toughest challenges,” said Scott Moffitt, Managing Director of BioNova, in the statement. “This year our speakers will share how embracing disruptive technologies like robotics, artificial intelligence, and synthetic biology, present opportunities to grow our sector.” Lathan will give her keynote address the evening of Nov. 7 and Charnetski will give his on Nov. 8 in the afternoon. Their talks will dive into the relationship between technology and life sciences companies and health care systems. Lathan’s company provides healthcare providers with a mobile platform to moniter cognitive function. In her career she has also developed robotics for kids with disabilities, and wearable sensors for training surgeons and soldiers. Charnetski, a global executive who has worked in the highest levels of business, law, and government, will discuss how collaboration across the healthcare system requires the adoption of innovative health technologies. Since 2011, BioPort has been hosting the BioInnovation Challenge, a pitching competition open to health and life science entrepreneurs from the East Coast. This year, participants could win up to $25,000 in funding to develop their business idea. Past winners include, Pfera from Fredericton, MacKenzie Healthcare Technologies and Covina Biomedical, both of which are from Nova Scotia. Pfera, a company that is developing products for safer and more cost-effective horse breeding, won in October 2017 and was able to start conductng clinical trials two months later. The company, which helps breeders determine the due date of a pregnant mare, was incorporated in January 2017 and aims to launch late this year. BioPort 2018 is also the inaugural year for a new program for Nova Scotia’s youth. BioInnovation Challenge Junior (BIC Junior) is open to Nova Scotian high school and first year post-secondary students with health and life science business ideas. The winner will receive a prize of $2,000. You can register for the events here.